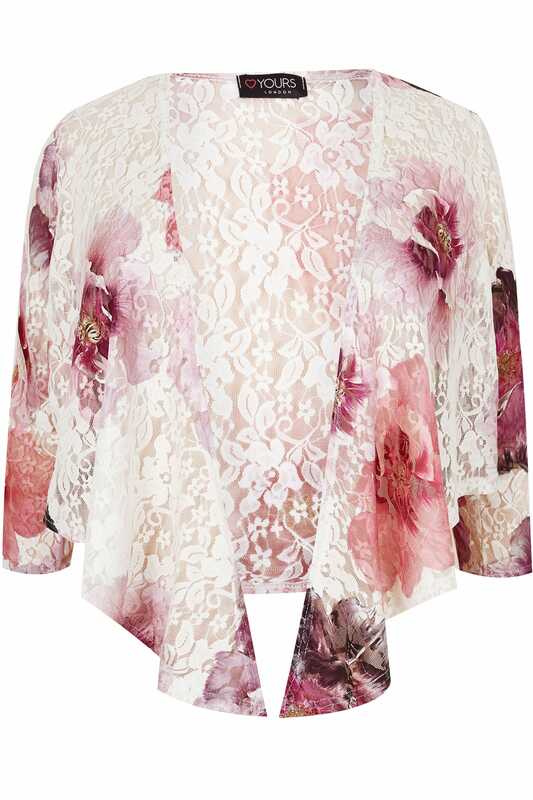 Front length from (approx) 46cm/18.1"
Back length from (approx) 68cm/26.7"
Add an elegant touch to your special occasions wardrobe with this elegant shrug. Perfect for draping effortlessly over the shoulders, it features 3/4 length sleeves and a waterfall style front that can be tied for a secure fit. 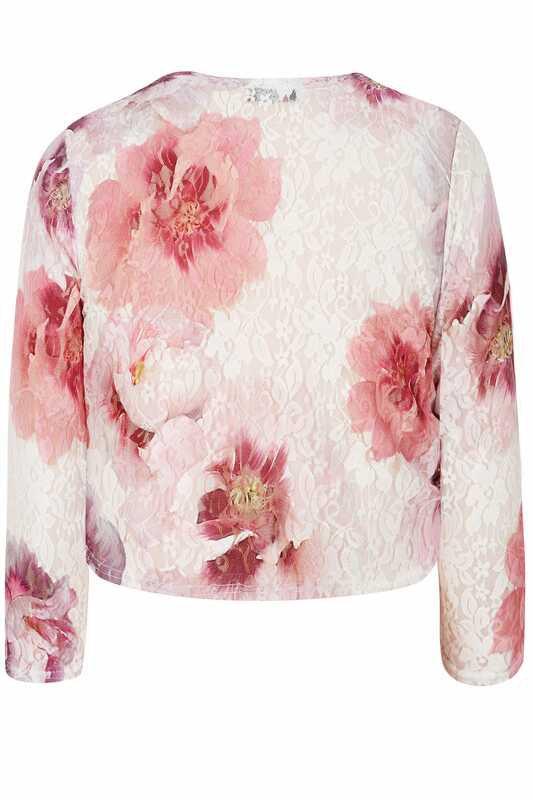 We love the elegant floral lace and splashes of pink.